LiveStudios provides innovative instant photography solutions to enhance guests experience at events. As pioneers of Live Photography since 2003, they continually push the envelope of merging technology and photography. 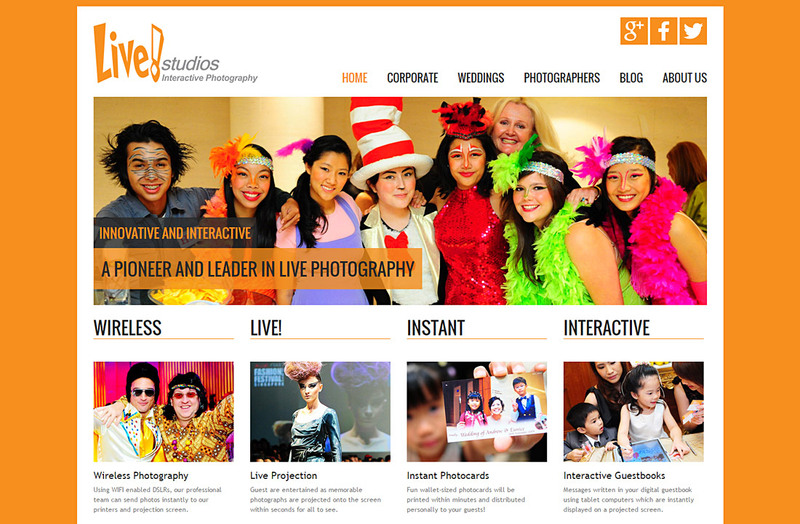 As an industry leader in Wireless Photography and Live Projection, LiveStudios needed to showcase their services in a vibrant and easy to navigate, mobile friendly website with a CMS back-end for easy updates on-the-fly.